Based on these early numbers, Ivy Bridge is pretty much right where we expected it on the CPU side. You're looking at a 5 - 15% increase in CPU performance over Sandy Bridge at a similar price point. I have to say that I'm pretty impressed by the gains we've seen here today. It's quite difficult to get tangible IPC improvements from a modern architecture these days, particularly on such a strict nearly-annual basis. For a tick in Intel's cadence, Ivy Bridge is quite good. It feels a lot like Penryn did after Conroe, but better. The improvement on the GPU side is significant. Although not nearly the jump we saw going to Sandy Bridge last year. Ivy's GPU finally puts Intel's processor graphics into the realm of reasonable for a system with low end GPU needs. Based on what we've seen, discrete GPUs below the $50 - $60 mark don't make sense if you've got Intel's HD 4000 inside your system. The discrete market above $100 remains fairly safe however. With Ivy Bridge you aren't limited to playing older titles, although you are still limited to relatively low quality settings on newer games. If you're willing to trade off display resolution you can reach a much better balance. We are finally able to deliver acceptable performance at or above 1366 x 768. With the exception of Metro 2033, the games we tested even showed greater than 30 fps at 1680 x 1050. The fact that we were able to run Crysis: Warhead at 1680 x 1050 at over 50 fps on free graphics from Intel is sort of insane when you think about where Intel was just a few years ago. Whether or not this is enough for mainstream gaming really depends on your definition of that segment of the market. Being able to play brand new titles at reasonable frame rates as realistic resolutions is a bar that Intel has safely met. I hate to sound like a broken record but Ivy Bridge continues Intel's march in the right direction when it comes to GPU performance. 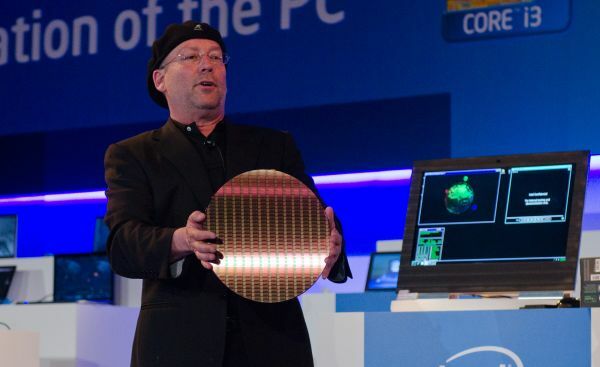 Personally, I want more and I suspect that Haswell will deliver much of that. It is worth pointing out that Intel is progressing at a faster rate than the discrete GPU industry at this point. Admittedly the gap is downright huge, but from what I've heard even the significant gains we're seeing here with Ivy will pale in comparison to what Haswell provides. What Ivy Bridge does not appear to do is catch up to AMD's A8-series Llano APU. It narrows the gap, but for systems whose primary purpose is gaming AMD will still likely hold a significant advantage with Trinity. The fact that Ivy Bridge hasn't progressed enough to challenge AMD on the GPU side is good news. The last thing we need is for a single company to dominate on both fronts. At least today we still have some degree of competition in the market. To Intel's credit however, it's just as unlikely that AMD will surpass Intel in CPU performance this next round with Trinity. Both sides are getting more competitive, but it still boils down to what matters more to you: GPU or CPU performance. Similarly, there's also the question of which one (CPU or GPU) approaches "good enough" first. I suspect the answer to this is going to continue to vary wildly depending on the end user. There's still more to learn about Ivy Bridge, including how it performs as a notebook chip. If the results today are any indication, it should be a good showing all around. Lower power consumption and better performance at the same price as last year's parts - it's the Moore's Law way. There's not enough of an improvement to make existing SNB owners want to upgrade, but if you're still clinging to an old Core 2 (or earlier) system, Ivy will be a great step forward.